Feodor Ivanovich Chaliapin, a Russian opera singer, was touring in Japan in 1936, and was a guest of the Imperial Hotel. He was dining at the New Grill, the predecessor to La Brasserie, even though he was suffering from a toothache, he wanted to have steak. 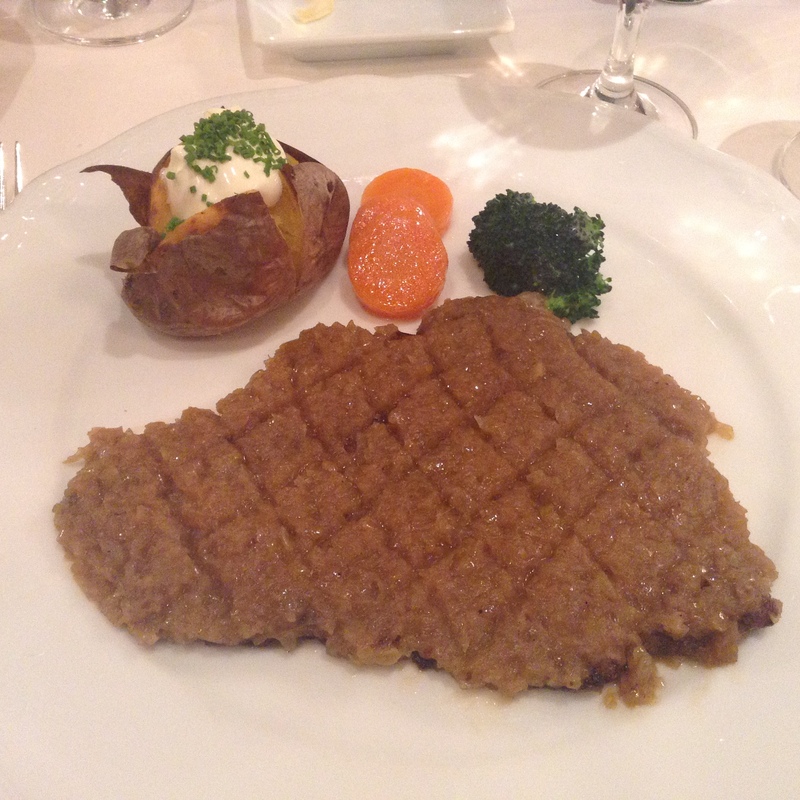 The executive chef, Fukuo Tsutsui, came up with this dish, now called the Chaliapin Steak. Taking inspiration from the classical sukiyaki dish, he put finely minced onions on top of a steak to soften the meat and then grilled it. The ingredients are simply steak, onions, butter, salt and pepper. La Brasserie uses aged rump steak. The onions are sautéed just enough to draw out the sweetness. La Brasserie is a nice nod to the classic French brasseries. As it is in the basement of the Imperial Hotel, many visitors never make it down here, which is also part of its intrigue. The restaurant is popular with Japanese and reservations are highly recommended at lunch as it is very busy. The interior reminds me of a polished up Balthazar. Red banquettes, but these are velvet. Service is professional but without the stuffiness that can be found at many Japanese French restaurants. If you are craving something more formal, then head to the mezzanine level to Chef Thierry Voisin’s Les Saisons, which has recently started serving breakfast. I am a big fan of his cuisine.